Even though solar panels have only recently become commonplace, the original discoveries go back to 1839 and solar panels have been used for several decades as a way to generate clean electricity. They are nearly maintenance free and have been proved to work reliably for many decades. Yes, they are expensive technical items, but the returns are high (they repay the original cost, on average, over 9 years, and payments continue for 20-25 years), so it is worth investigating several companies to get the best price possible. Using Solar Panels provides positive environmental benefits, reducing one’s ‘Carbon Footprint, converting free sunlight directly into electricity – without any air pollution. Solar Panels or modules are still the best medium for producing electricity from the sun. They are also very hardy compared to other alternative power sources. Not only that, but the panels are designed to withstand significant temperature changes, hail up to 1 inch at 50 MPH, and up to 150 MPH winds. Those installed in households are rigid with no moving or mechanical parts in them. They are durable, require little or no maintenance, and are guaranteed to supply power for at least 25 years . Solar Panels are therefore a long term investment in your home providing a great alternative to traditional electricity. Home Solar Panels have been dropping in price over the last few years, as demand has soared a great deal, and they’ve become much more common in the average household. Plus, for the money it costs to have them installed, you’ll go far beyond that in energy savings over the years. They can be mounted anywhere from the roof to the ground and even add to the value of your home or business. However, they are not light and the roof must be strong enough to take their weight, especially if the panels are placed on top of existing tiles. Your home can be completely kitted out with Solar Panels on the roof, with a garden wind turbine also catching energy on blustery days. Solar Panels (or solar modules) are man made panels which make use of the properties of certain materials to produce DC electricity when light falls on them. 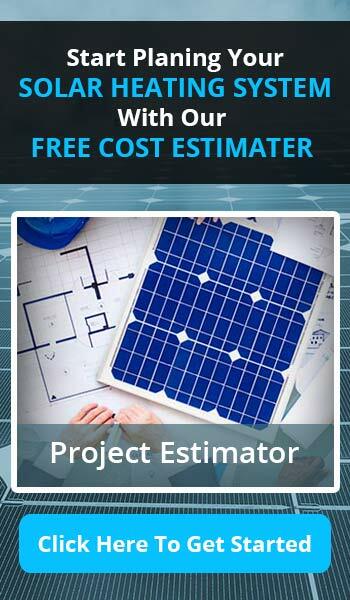 You’ll be delighted to know that DIY panels can be built with very little cost, and building your own is a very good investment for the future, not only in economic terms but also environmentally. You can make Solar Panels at home if you have the right materials and knowledge and they are easily connected, making them ideal for battery charging, camping and remote power applications. DIY Solar Panels are a good option for those who enjoy building things with their hands, and who would rather put in some work on their own time instead of outsourcing to a professional company to build and install. However, despite Solar Panels, on average, working out at about 7 to 17% efficiency they can be a HUGE gamble since most home owners sell their homes about every five years. Solar Panels can also be installed on flat roofs, or on other free standing structures and should be positioned where they will not be shaded at any time of the day in order to generate the most electricity. They require dusting or cleaning periodically in order to maintain their efficient collection of solar energy. Permitting them to get dirty due to airborne particles, and bird droppings for example, can vastly scale down your solar energy output, which means you won’t get the performance you paid for. DIY Solar Panels aren’t usually as powerful as expensive pre-made ones, but for all you do-it-yourselfers trying to save a buck or two, makeshift solar panels are a great alternative. Take care that Solar Panels are placed and arranged such that reflected solar radiation or glare shall not be directed onto adjacent buildings, properties or roadways. If your panels do not use all wavelengths of sunlight, then other panels using different wavelengths can be combined to produce electricity more efficiently. Evacuated tube Solar Panels are popular for producing domestic hot water. Solar Panels for homes are most effective under consistent direct sunlight, as they require constant sun in order to do the most work. As panels for the home only convert about a quarter of the radiation that they absorb into viable electricity, constant sunlight is a high priority for the best results. In most cases solar panels are only installed on one side of your house, to achieve maximum effectiveness and increase the likelihood of the panels getting full sunlight. However, it’s really a common misconception that all solar panels are no good if you do not have numerous days with unbridled direct sunlight, PV electric solar panels ( known as photovoltaics) can work even on cloudy days. Hopefully Solar Panels will become much more efficient in the very near future to make them an even more attractive proposition. In my opinion, they are the best and cleanest source of “Alternative” energy we can install but they’re also a large up front investment. Monocrystalline Solar Panels are the oldest type of panels but they are still considered the most efficient. Polycrystalline Panels are usually cheaper and therefore a more affordable option because they are simpler to produce. Multicrystalline solar panels are made of cells cut from multiple crystals that are grown together in an ingot. Amorphous silicon solar panels (e.g. thin film) are made from cells created by depositing a micro-thin layer of silicon directly onto a sheet of glass, plastic, or other substrate. Amorphous silicon solar panels are the least efficient and thus require the largest footprint. “Thin film” is an apt name because these solar panels are created by spraying a photovoltaic mixture onto a thin metallic substrate. The common thinking has it that it does not matter that thin film solar panels are only10% efficient initially; after all, the roof of your home is not doing anything else except sitting there. Learning how to build Solar Panels and make our home energy efficient could be the first step towards becoming a responsible global citizen. A system consists of one or more Solar Panels with an inverter (if AC power is required), a battery array (if electrical storage is included), and a controller (if there is a battery). You can save thousands by making your own solar panels and shave even more off your power bills if you decide to move to this next stage of getting your hands dirty. You will see for yourself what it really takes to build your own solar panels and it’s a fun DIY project that you are really likely to enjoy. So, take a moment to think about the role that Solar Panels can play in your very near future and plan carefully how to include them in your life.